Why do you think there are currently so many wildfires in the Pacific Northwest? How do you think the fires can be brought under control? Why do you think the U.S., Australia and New Zealand decided to become partners during the fire season more than 50 years ago? Why do you think the arrangement has lasted so long? 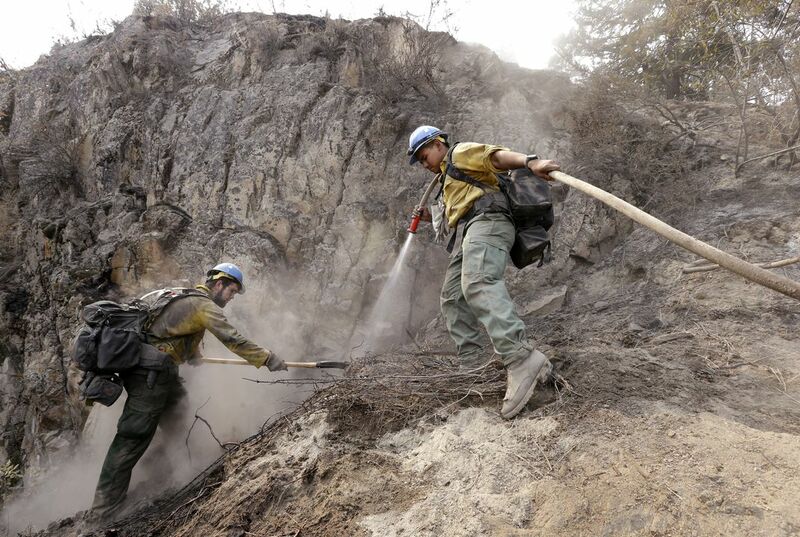 More than 4,000 people volunteered to help fight the wildfires. Many will not be accepted. Why do you think that is? Do you think it’s a good idea not to accept help from everyone who volunteers? Explain your response. According to the article, military assets cannot be used against wildfires until all civilian resources are deployed. Do you agree with this mandate? Why or why not? Smithsonian article that looks at past wildfire prevention advertisements, including Smokey the Bear. Smithsonian article about danger of drones as it relates to the wildfires in the Northwest. Students will create an anti-smoking publicity campaign based on their research into the effects of smoking. Students design an environmental public-service campaign to compel people to stop deforestation in the Amazon.